What do we do on the internet? We read about politics, we write informative articles about marketing, we post photos from a friend’s wedding, we raise money for causes we care about, we express our outrage at the current political climate, and the list goes on. All those actions boil down to one thing – content. We spend, on average, 24 hours a week creating and consuming content in a multitude of formats. Videos, photos, GIFs, graphs, PDFs, charts, lists, screenshots, and so many others. Over the years, the type of content we consume has evolved. Yet when many marketers talk about producing content or creating a content calendar, they are only referring to words. Yet, content is so much more than just words. Here is how you can create more of the multimedia content we all love to consume and why you should be doing it. First, the basics. What is multimedia content? Multimedia content is content that uses multiple mediums to communicate thoughts or ideas. For example, if you write a blog post and include an image, that is multimedia content at its very core. 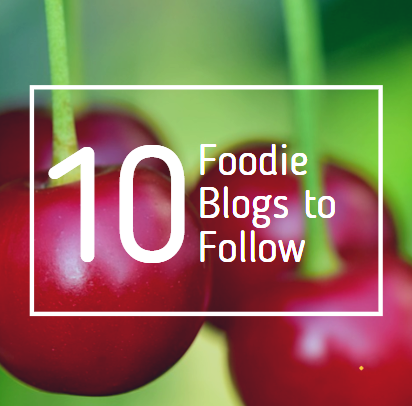 However, if you think slapping a stock photo on your latest blog post is good enough, you are missing the point. Multimedia content can and should be so much more. Multimedia content can be used to highlight interesting data, make a how-to process easier to understand, or visually show off a new product. What Are The Benefits of Multimedia Content? If you are already overwhelmed with the thought of publishing a weekly blog post, then stop reading now. It is so much more important to focus on publishing high-quality, useful content on a regular basis first. Do your keyword research, find out what type of content your audience needs, and fill that gap. Add a few good photos and a video if it makes sense. But first, focus on producing good content regularly. 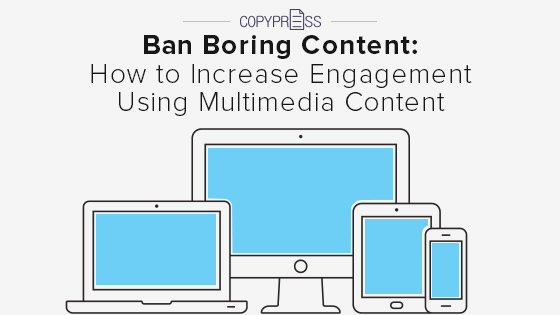 Adding multimedia to your content is bells and whistles. If you don’t have the basics of good content down, this isn’t where you need to focus your energy. However, if you are publishing well written, in-depth content on a regular basis and not seeing the traffic you were hoping for, it is time to do more. Including multimedia content is one way to do that. 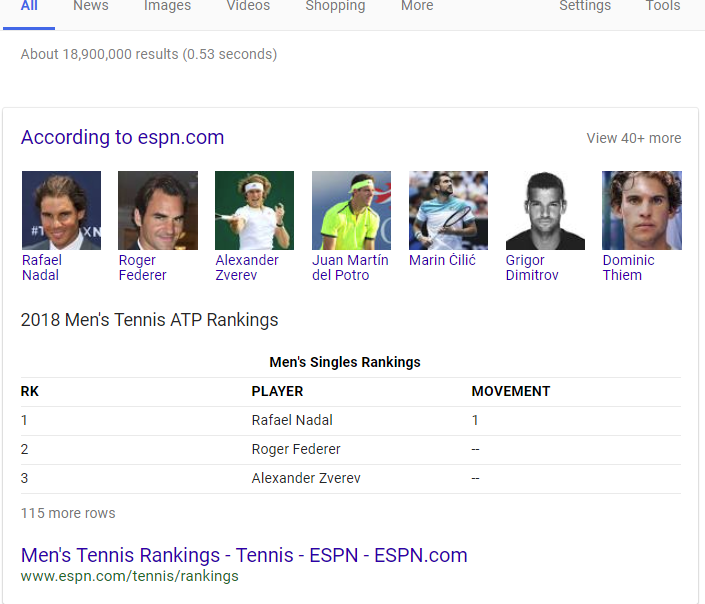 According to Google, nearly 200 factors are considered when deciding who gets that coveted No. 1 spot in the search results. 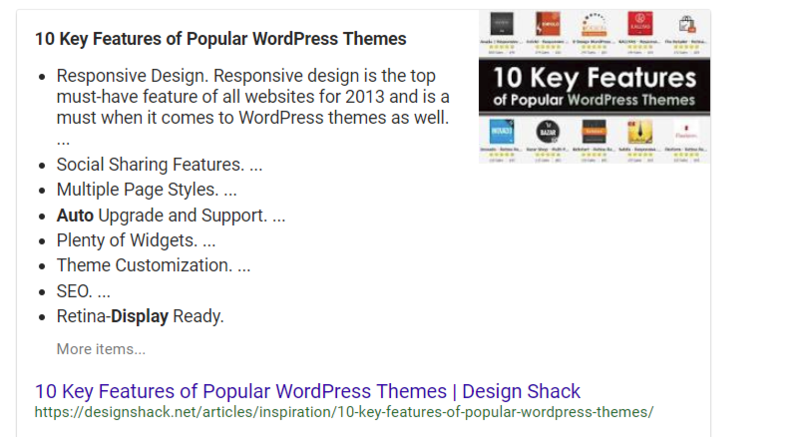 These factors include (among others) content length, having a linked table of contents, domain age, how recent the content was published, how many times the page was updated, and on and on. Content matters. Writing better content matters. Adding engaging elements, such as video, audio files, graphs, and charts matters. Here is how to do it. There is no question that content with images ranks better. Sure, you could use one of the dozens of free stock photo sites to throw in a few mediocre photos used by dozens of other sites in your industry. Or, you could crank your photo game up a bit. Add unique, useful images instead of just slapping a standard stock photo and calling it a day. Here are a few ideas for including better photos in your content. Add screen shots: These are particularly useful in step-by-step or how-to guides. You can show the reader precisely what to do. Use a tool like Skitch to mark up those screenshots to make them even easier to understand. Create your own graphics using a tool like Snappa that offers easy-to-customize templates. Take your own photos. Got a smartphone? That is all you need. Why use boring stock photos when you can take your own photos? Crop and edit standard stock photos to make them your own. Just make sure their copyright allows them to be edited. This took just a few clicks to make in Snappa. Original photo is here. As you can see, adding better images doesn’t require a ton of time or money. In fact, all the examples above were free, except the last one because I have a paid Snappa account. P.S. Don’t forget to optimize your photos for SEO. As of 2017, 78 percent of people reported they watch videos online every week, and 55 percent said they watch videos online every day. If you haven’t added video to your content marketing plan, you are already behind the curve. Keep in mind that you don’t need thousand-dollar lighting or expensive software to add more videos to your content. There are several ways to record video without spending a dime. With today’s technology, you don’t need a fancy camera. A reasonably new smartphone will do the trick. For best results, I do suggest getting a phone tripod to keep the phone steady. Use an app like Magisto or Splice (both have free versions) to edit, upload to YouTube, and then you can easily embed it in blog posts or share on social. Conference call tools like Zoom allow you to record a screen share or your camera. Their free version gives you up to 45 minutes and you can invite up to three guests. Upload to YouTube and leverage their search engine to get more views. This is a great option for showing how processes work. For example, I have used it to show how to pull a specific report from Google Analytics. All you need is a laptop or a smartphone to go live. Once your broadcast is over, you can save, share, and even embed your video to repurpose the content. Pro tip: If you are worried about going live from your business account, you can test it in a Facebook group first. This allows you to limit who can see your broadcast. If you have spent anytime on Google in the last few years, you’ve noticed Google answer boxes. 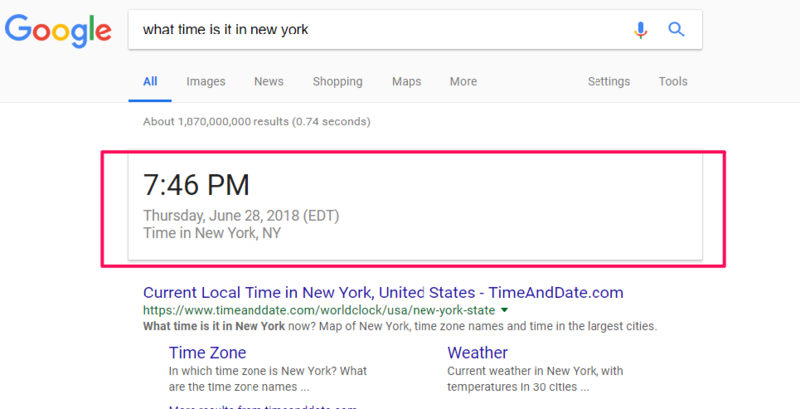 Google answer boxes show up in “position zero” in response to certain queries and provide an answer without requiring you to click through to a website. Most of the time, answer boxes show up to answer questions that need no elaboration: what time is it, how big is Central Park, who won the Cubs game, and so forth. There is also Google answer boxes’ cousin, “People also ask,” where you can click on the carrot to see the answer to questions related to your query. Google swears these boxes are for user experience. Marketers have a love-hate relationship with Google answer box, as it can result in lower traffic for some queries. However, there are definite benefits to having your site in the Google answer box. Sure, you might get less traffic if the answer is provided right away, but you definitely won’t get traffic if you are buried below the answer box, ads, and two other search results. As an example, here is the what appears above the fold for a search about permalinks. Way down there at the bottom is what would be the first search result. Clearly, getting the answer box is a better option, even if you don’t get as many clicks as you might have pre-answer box. So, how do you get into Google’s answer box? 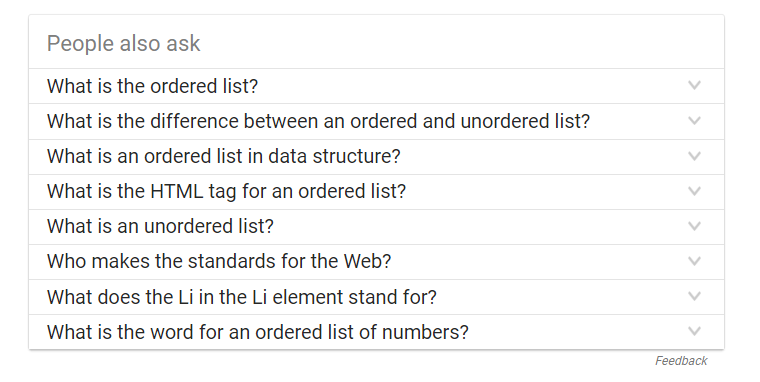 To start, well designed-tables have a better chance of showing up in that Google answer box. When it makes sense for your content, display data in a list or table. There are multiple benefits. First, a list or table is user-friendly, which means you are creating content people want to read and are more likely to share. Plus, they give you a little boost in the search results. Remember, this is about making good content great, so these little boosts matter. Although the post is a few years old, this article on business2community is a good resource for how to create tables Google will like. Graphs and charts are simple ways to quickly increase engagement with your content. They make your content more interesting and make it easier for more visual people to quickly consume the information. 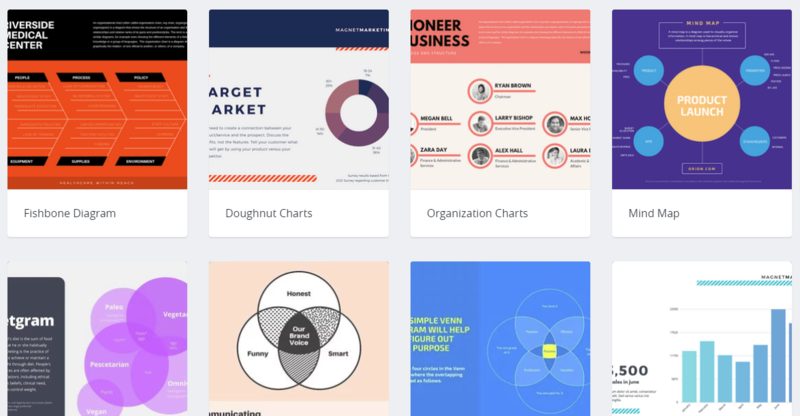 Canva offers dozens of options to create graphs, charts, process flow documents, and more. The templates are easy to edit so you can add your data, a logo, and brand colors. 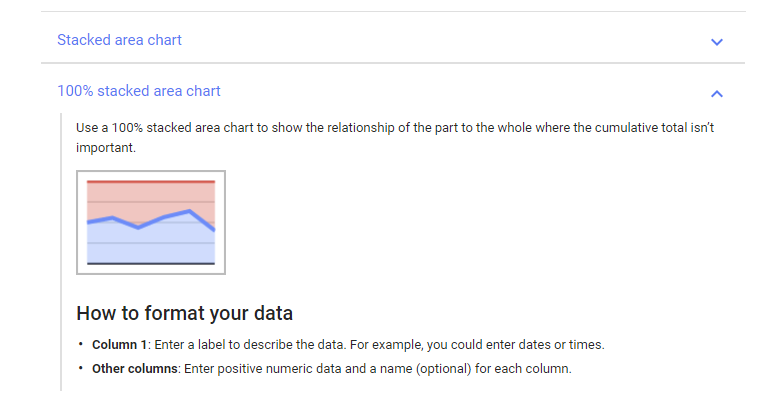 You can also use Google Sheets to create line charts, bar graphs, pie charts, and many other types of tables. Easel.ly and Infogram are two other programs for creating graphs or charts. Both offer at least free trials. Above, I presented several tools and types of content you can use to get started adding more multimedia elements to your content. Because every business is different, I also want to provide some very specific examples you can tweak for your business. Whether you are a SaaS company or sell a physical product, you will find an idea that will work for you. If you have a podcast, embed related podcast episodes into blog posts. Write a blog post around a topic that came up in a Facebook live event and embed the video. After you’ve given a presentation, write a more in-depth post and embed the slides in your post. Do a survey on Twitter, then write a post about the results. Embed the tweet or create a graph of the results. Use Zoom to make a step-by-step video documenting a process, like pulling a specific report. Writing a review of a product? Add a table comparing the best features to a competitor. Think WordPress/Squarespace or Apple Watch/Fitbit. Use Google forms to do a survey of your audience. You could do market research or do more of a “state of the industry” report. Publish the results with charts and graphs. As an added bonus, you could earn links by doing research about your industry. If you want to increase engagement, improve time on page, reduce bounce rates, and turn your “pretty good” content “really great” content, adding multimedia elements is the way to go. Now is the time to stop publishing boring content.